Millennium 7 Publishing Co.: YOUR Social Media Advertising, Explained? YOUR Social Media Advertising, Explained? 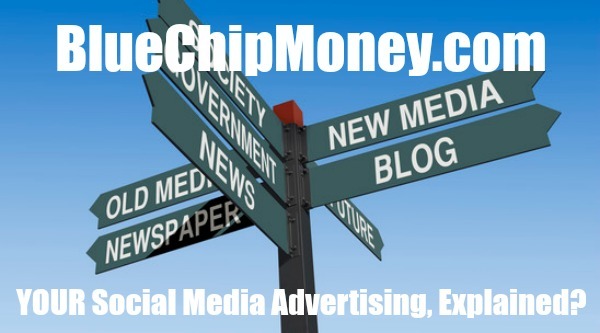 Advertising on social media, explained..
Social media's share of digital advertising is continually growing -- rising from 23.2 percent in 2013 to 34.5 percent in 2017. However, the sector is dominated by search engines, where advertising is tailored to the keywords you type into Google. Research suggests that companies who advertise on social media do see public awareness grow -- and their brands are often regarded more positively afterwards. You may have noticed that ads can tend to follow you around -- meaning searching for shoes on a retailer's website suddenly means they're in your Facebook News Feed. Advertisers tend to like social media because it's easier to reach certain people based on their age, gender, location and interests. As you'd imagine, it's a lot harder to pull off targeted advertising on physical billboards. Not only are they more expensive, but campaigns end up grabbing the attention of the wrong demographics. Through social media, advertisers can use metrics to see whether their desired audience are engaging with their campaigns. Not all of this is to say the system is perfect, though, as some ad formats are irritating and intrusive -- redirecting you away from the website where you wanted to be. Yes -- in more ways than you think. Your level of education, ethnicity, whether you own a home, relationship status, birthday, job, political views, car, internet browser, investments and TV habits are just some of the types of data that can be used. Awareness about how social media companies are using personal information has been heightened by the scandal surrounding Cambridge Analytica and Facebook. The political consulting firm harvested the data of at least 87 mln people after launching an app where hundreds of thousands of people were paid to take a personality test. Participants gave consent for their data to be collected -- but the details of their friends were also harvested without their knowledge. Facebook CEO Mark Zuckerberg faced questions in Congress about the controversy. He denied that the social network sells personal data to advertisers, but said: "What we allow is for advertisers to tell us who they want to reach, and then we do the placement." In 2017, the social network generated almost $40 bln in revenue from advertising -- a 49 percent increase on the year before. In the future, Blockchain could be used to allow you to decide which data you want to be stored about you online -- and more importantly, who gets to see it. At the moment, personal data worth billions is being sold per year -- but the public doesn't see a penny of this. Some influencers boast millions of fans -- and for advertisers, they can be a valuable way of reaching new customers. Influencers often talk about how much free stuff they get -- and this is in part because brands want to be recognized by them. This method is especially popular when it comes to so-called "micro influencers" -- niche talent with a modest following who enjoy high engagement rates. One challenge can be making sure that an endorsement campaign has a lasting impact on viewers and followers. A single, discreet mention of a product isn't always going to cut it -- and that's why many campaigns require multiple posts and multiple mentions of a product to succeed. Guest Authored By Connor Blenkinsop. Connor is a journalist based in London, where he has covered news and business briefs for national news outlets. Away from deadlines, his interests include music and badminton.